Keratosis pilaris is a common skin disorder comprising less common variants and rare subtypes, including keratosis pilaris rubra, erythromelanosis follicularis faciei et colli, and the spectrum of keratosis pilaris atrophicans. Data, and critical analysis of existing data, are lacking, so the etiologies, pathogeneses, disease associations, and treatments of these clinical entities are poorly understood. 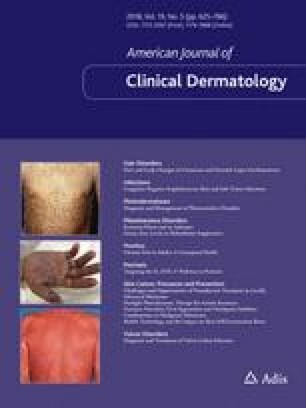 The present article aims to fill this knowledge gap by reviewing literature in the PubMed, EMBASE, and CINAHL databases and providing a comprehensive, analytical summary of the clinical characteristics and pathophysiology of keratosis pilaris and its subtypes through the lens of disease associations, genetics, and pharmacologic etiologies. Histopathologic, genomic, and epidemiologic evidence points to keratosis pilaris as a primary disorder of the pilosebaceous unit as a result of inherited mutations or acquired disruptions in various biomolecular pathways. Recent data highlight aberrant Ras signaling as an important contributor to the pathophysiology of keratosis pilaris and its subtypes. We also evaluate data on treatments for keratosis pilaris and its subtypes, including topical, systemic, and energy-based therapies. The effectiveness of various types of lasers in treating keratosis pilaris and its subtypes deserves wider recognition. A comment to this article is available online at https://doi.org/10.1007/s40257-018-0411-4. JFW was supported in part by the Clinical and Translational Science Award grant UL1TR001445 to New York University from the National Center for Advancing Translational Sciences, National Institutes of Health. JFW and SJO have no conflicts of interest.